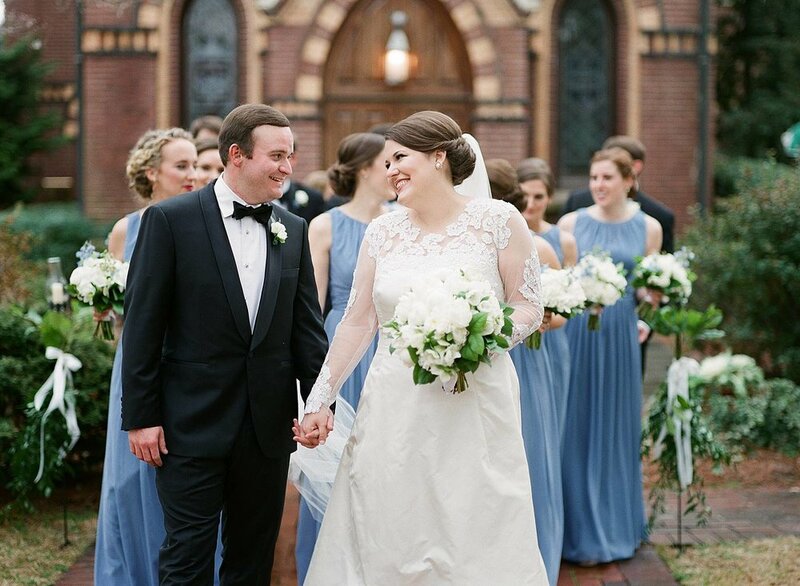 We started 2018 off with a gorgeous winter wedding for Ansley & Richard. 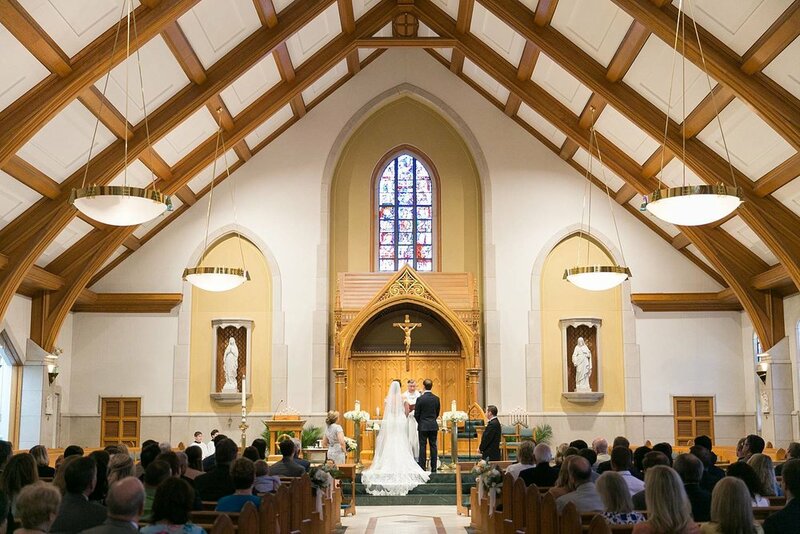 The ceremony took place at Trinity on the Hill followed by a reception at Sacred Heart Cultural Center. 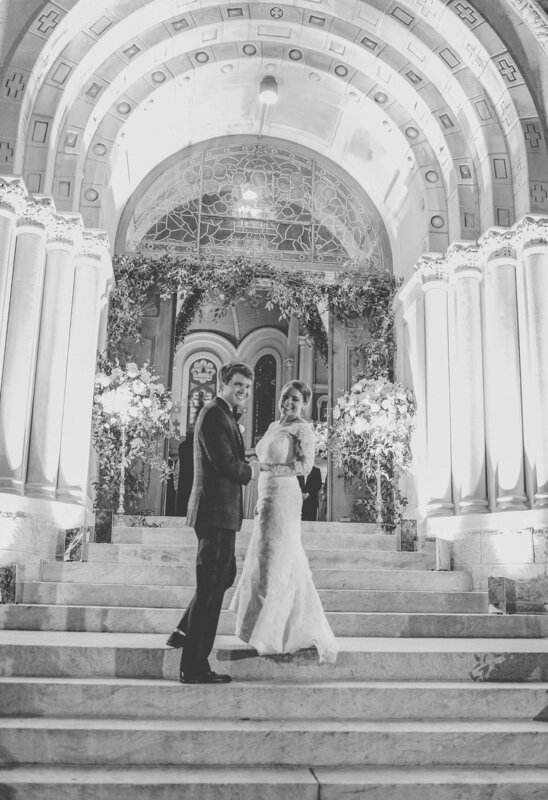 The scale and grandeur of Sacred Heart is the most impressive venue in Augusta, it was a dream transforming it. 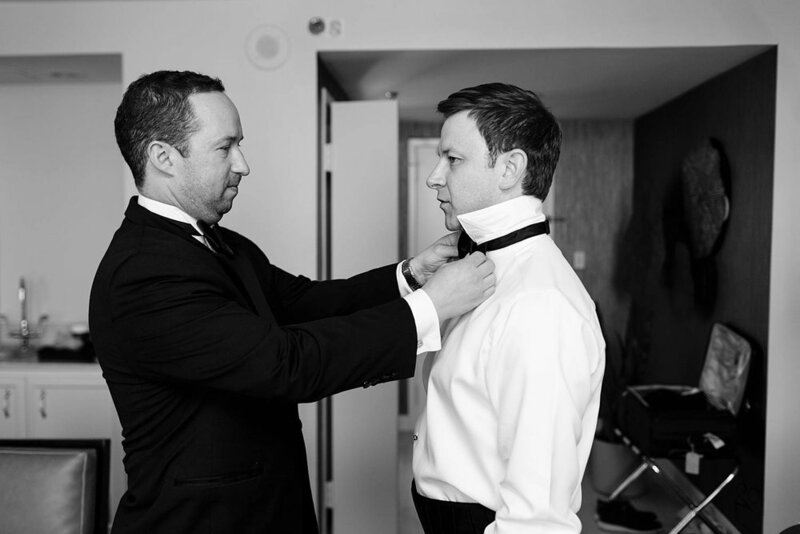 The large bow tie bar (guests could select their Southern Proper tie of choice while ordering their beverages) was our favorite feature. Images below by Amy Noon Free. 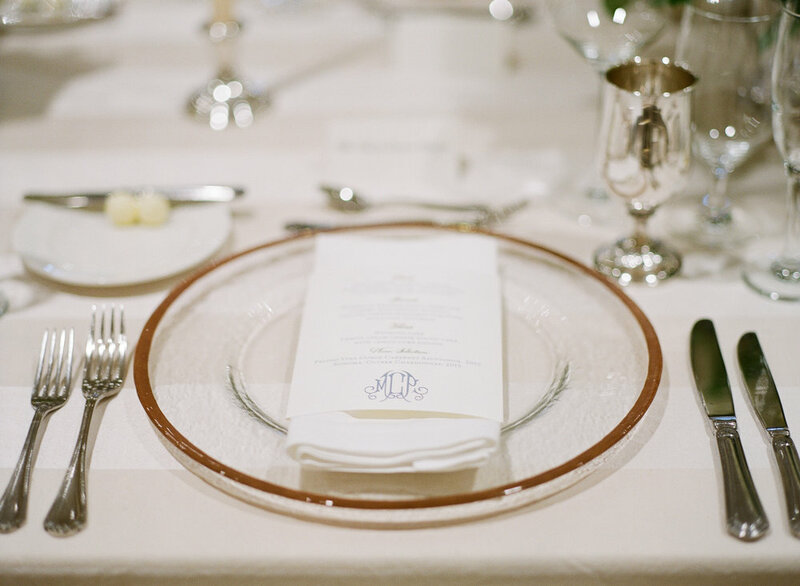 Our next wedding was a stunning seated dinner held at the Augusta Country Club. 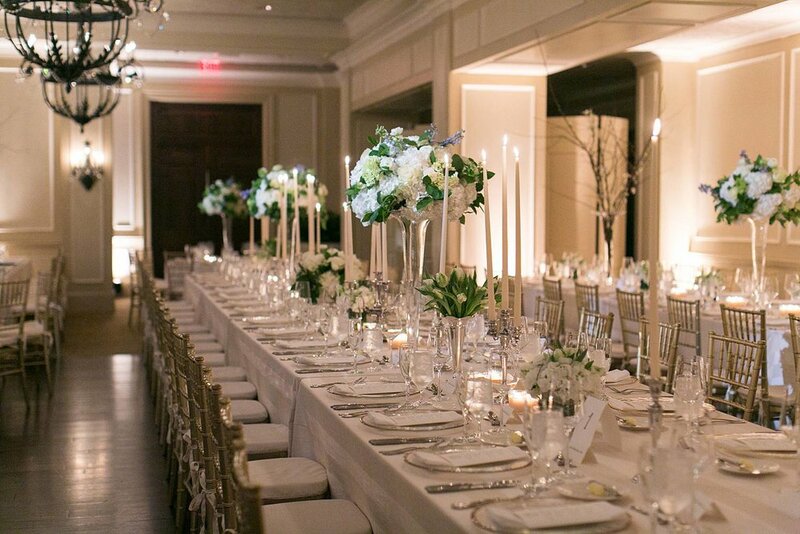 Guests enjoyed a three-course meal among the candlelight of taper candles and towering flowering branches. 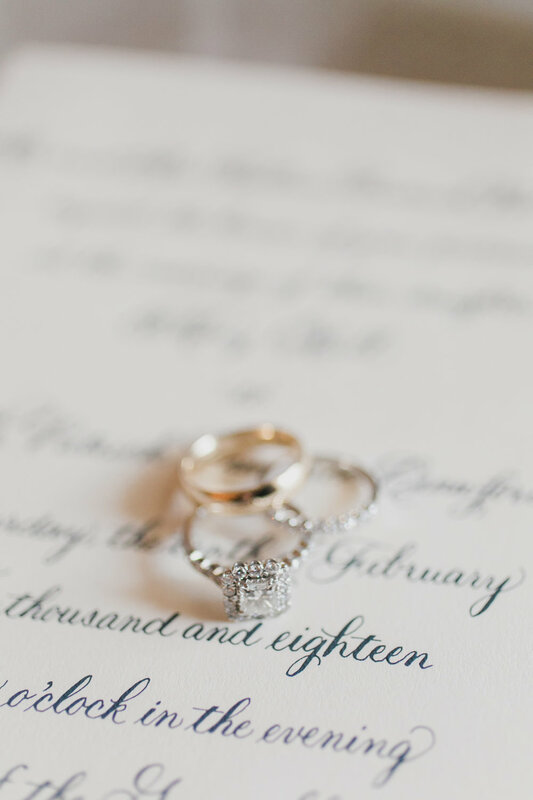 This wedding was filled with incredible detail, not one thing was not thoughtfully considered. 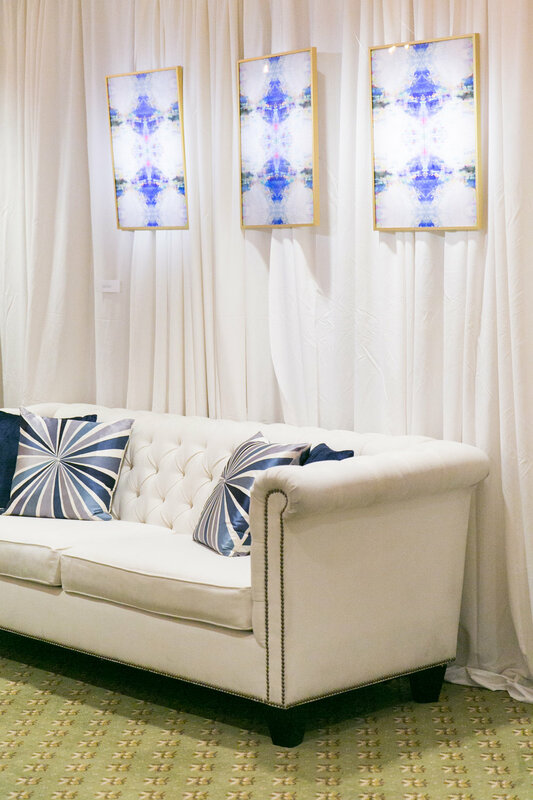 We loved creating an art lounge for guests to hang out in post-dinner with art loaned for the evening’s festivities by the bride’s talented friends. Images by Ashley Seawell Photography. 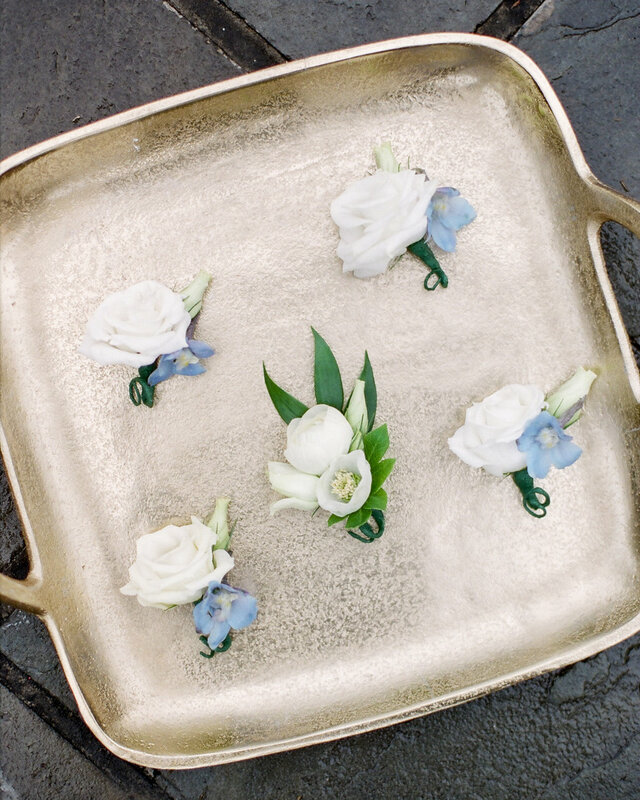 Our spring wedding season kicked off with a Puerto-Rican infused celebration. 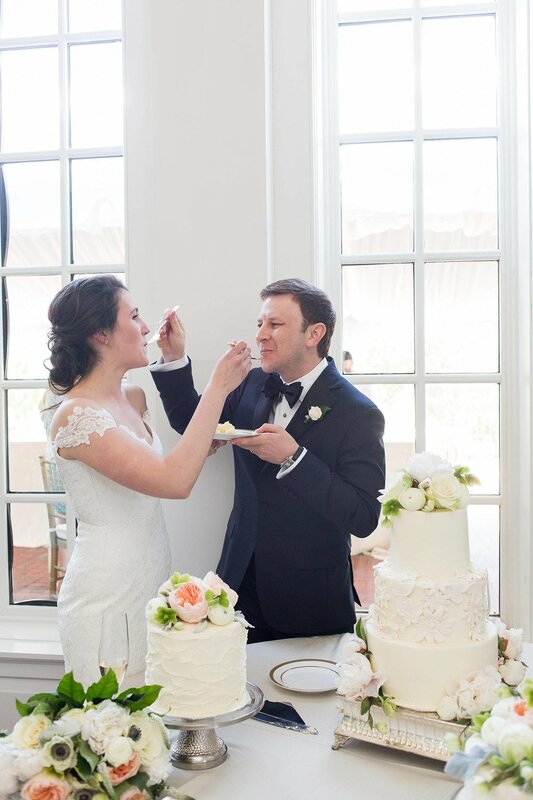 Our bride and her family included many of their family’s traditions throughout the day including a Latin DJ and brandy soaked wedding cake. 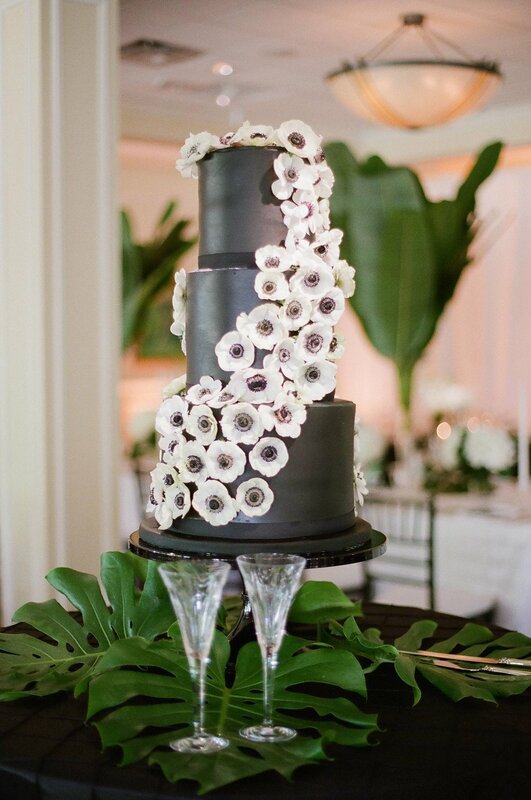 We loved the simplicity of the green, white, & black color palate. 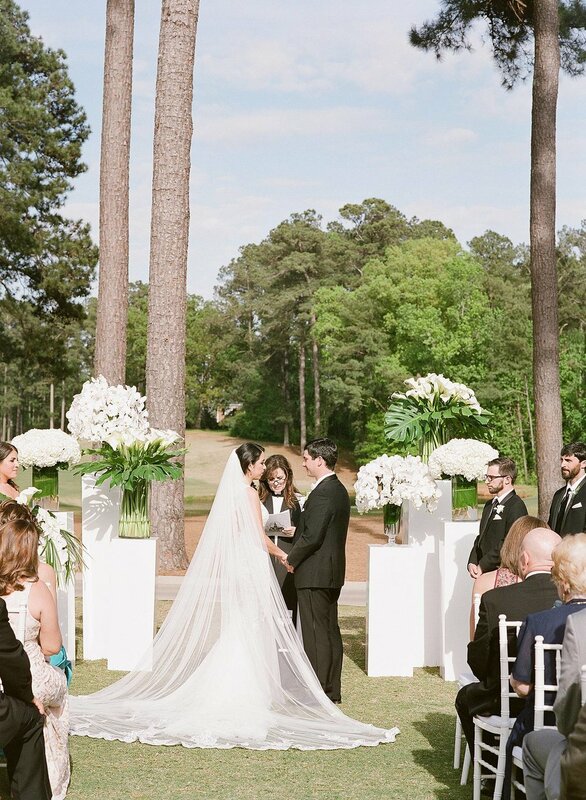 We especially loved the way the ceremony backdrop came together on the greens of West Lake Country Club. 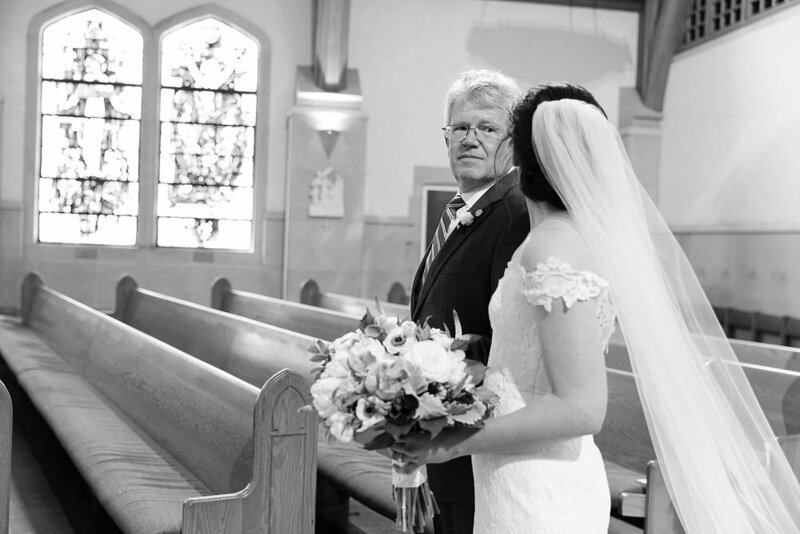 However the true scene-stealer was the sweet father of the bride, who’s tearful toast left not a dry eye in the house. Images by Ashley Seawell Photography. 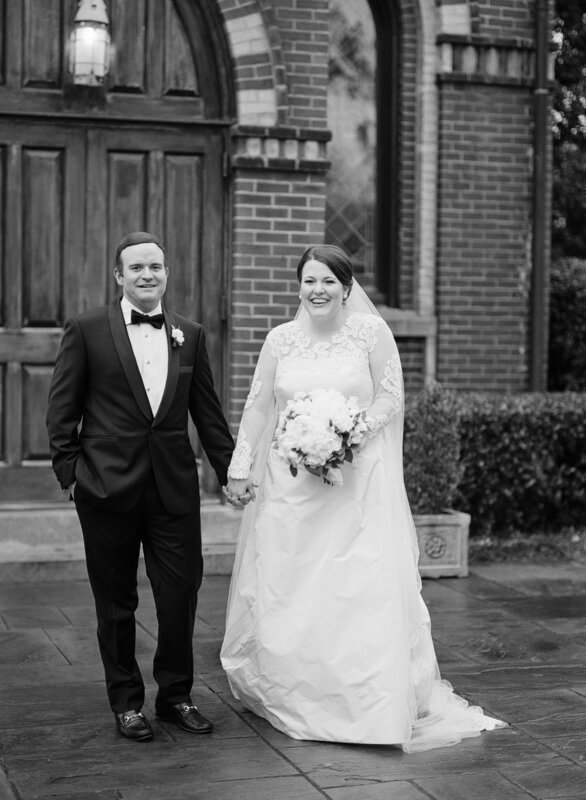 Jesslynn and Scott knew that they would want a brunch reception following their full mass ceremony at St. Mary’s Catholic Church. Keeping that in mind we recommended the light-filled River Room at St. Paul’s. 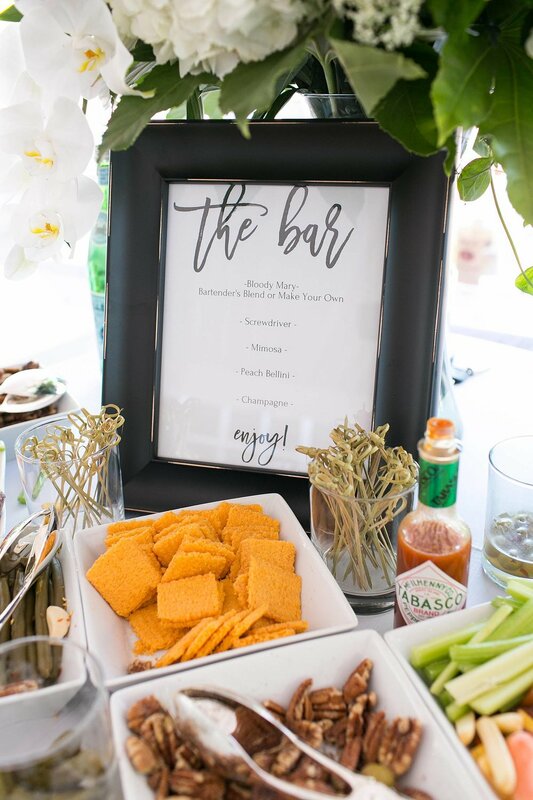 With a brunch-inspired menu by Tastefully Yours, and a DIY mimosa and bloody mary bar outside with a view of the river, guests were treated to a beautiful afternoon celebrating the couple. Images by Ashley Seawell Photography. 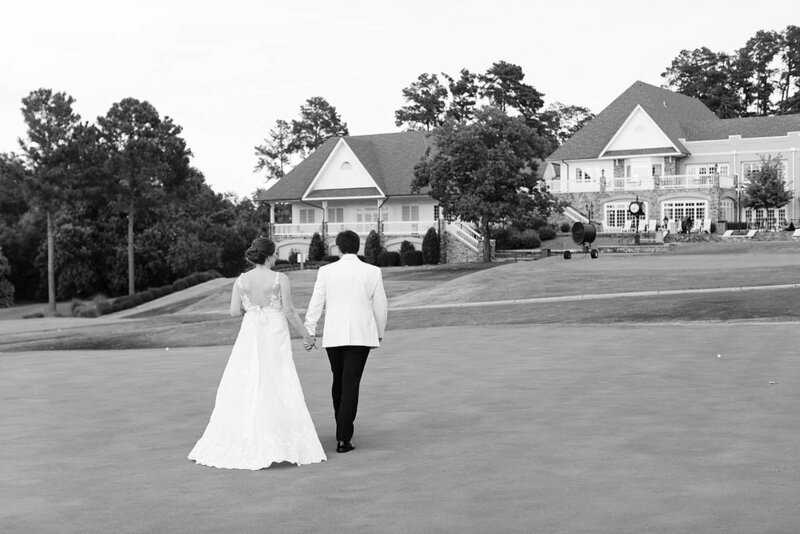 Our next wedding took place at a new-to-us venue, the Reserve Club at Woodside in Aiken, SC. 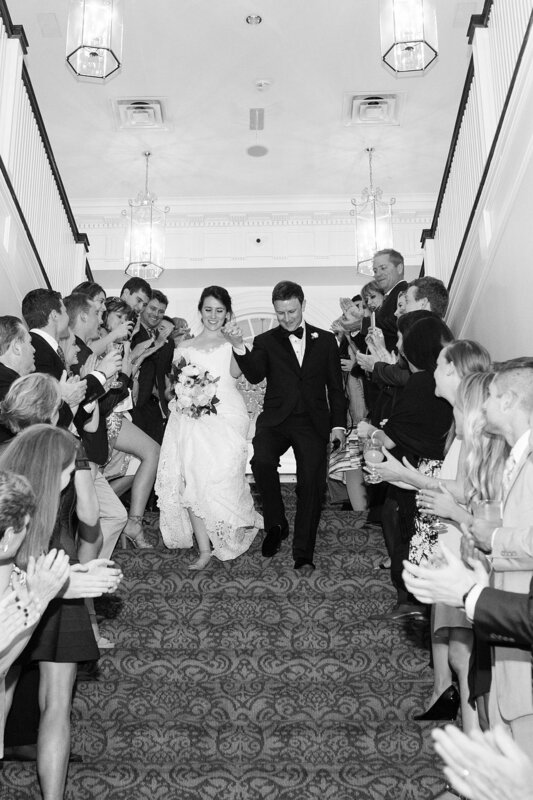 The bride’s family has close ties to Woodside and had all of their family and friends fly in from all over the world to celebrate with them! 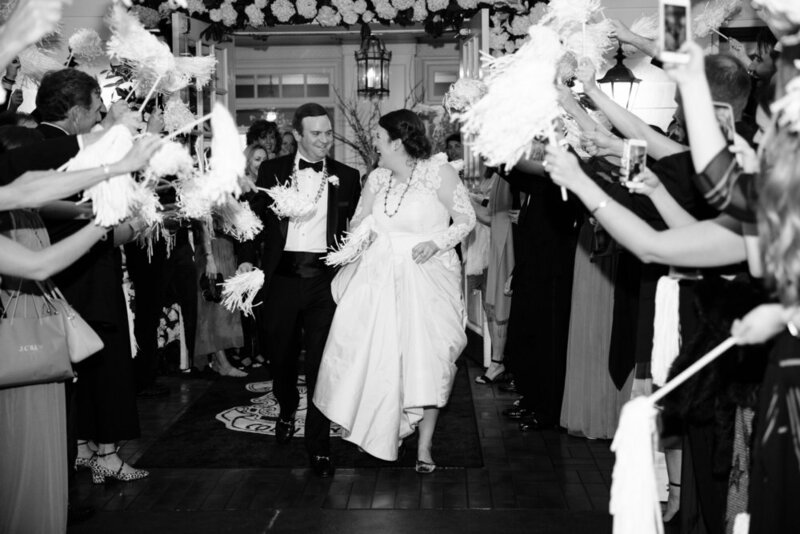 We loved the all-peony garland for the ceremony on the croquet lawn, the seated dinner in the gorgeous ballroom, and the dance party to the incredible Party on the Moon out on the event lawn. Truly a little slice of heaven right in our backyard. 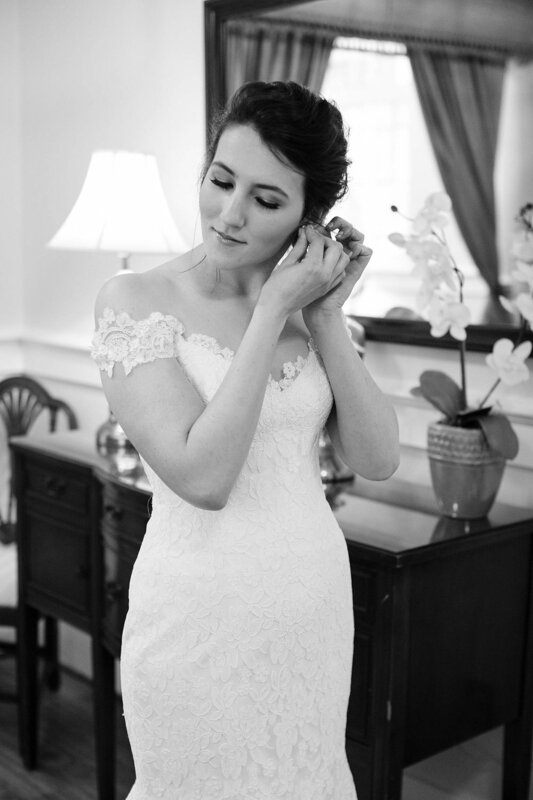 Images by Lauren Carnes. 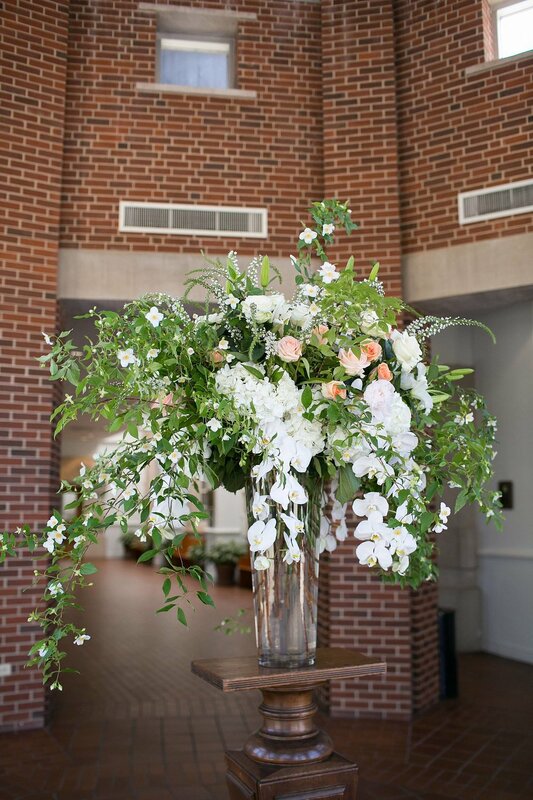 One of the best venues in the area is Champions Retreat out in Evans, GA. We always enjoy working out there and were so excited when Ellie and Brian came to us for florals for their May wedding! Even with rain in the forecast, that didn’t stop the party! 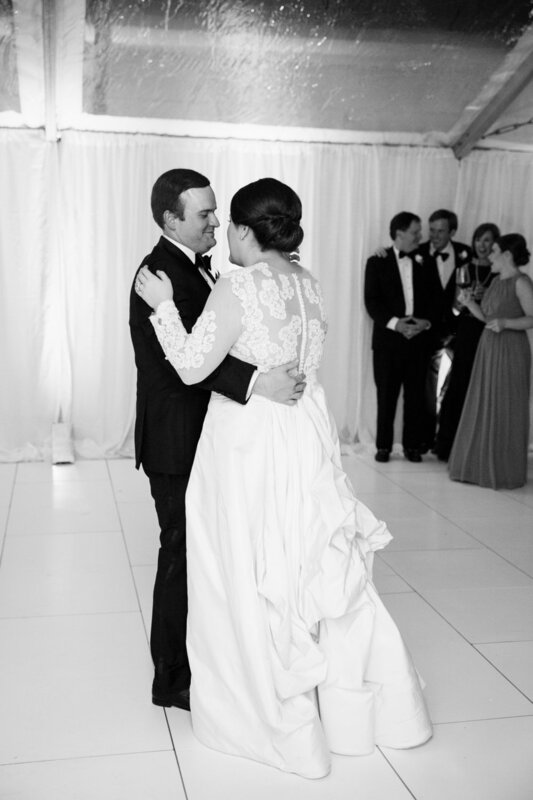 Guests danced the night away in the party barn all night! 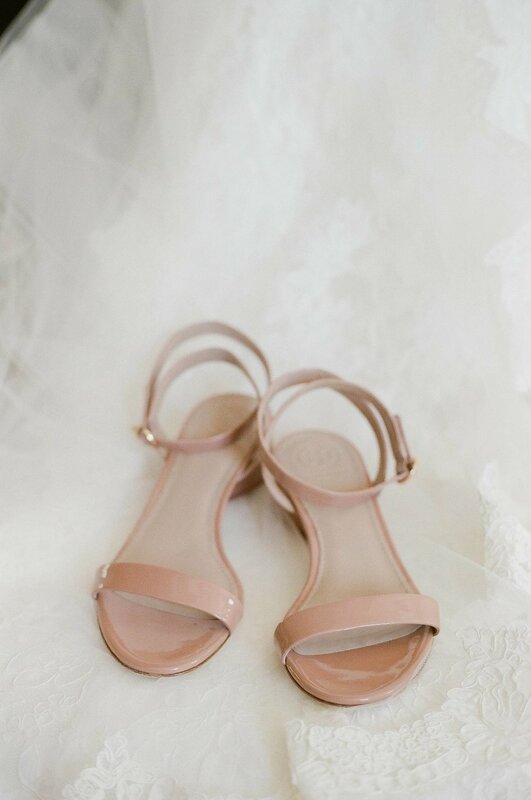 Images by Rachel Tesch Photography. 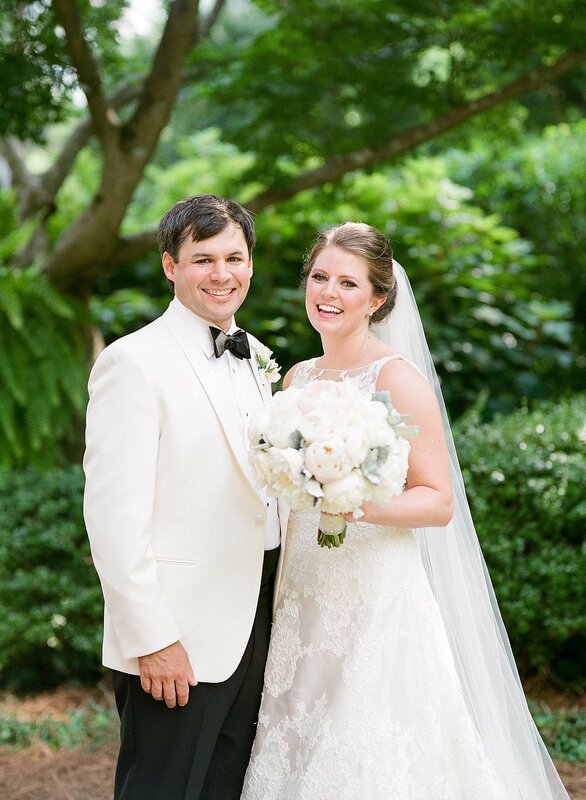 Greg has been a part of several wedding out in Wadley, GA in the past, which is how Charlotte and Carson came to us for their May wedding out on Charlotte’s family’s property. It was a beautiful wedding dayA gorgeous pole tent set out on the green lawn with a ceremony taking place beneath a magnificent walnut tree, it was truly a picturesque setting! 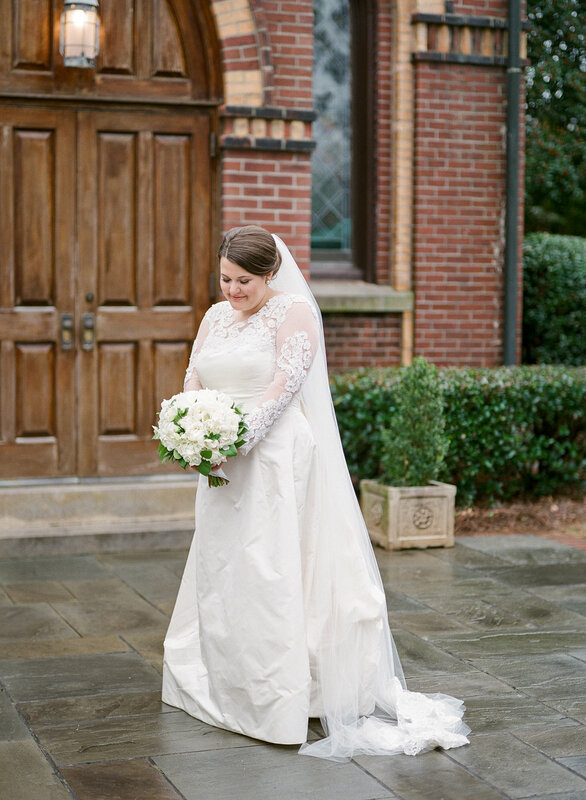 The weather was touch and go the whole week leading up to the big day and while there were some rain sprinkles throughout the day, they were all perfectly timed. 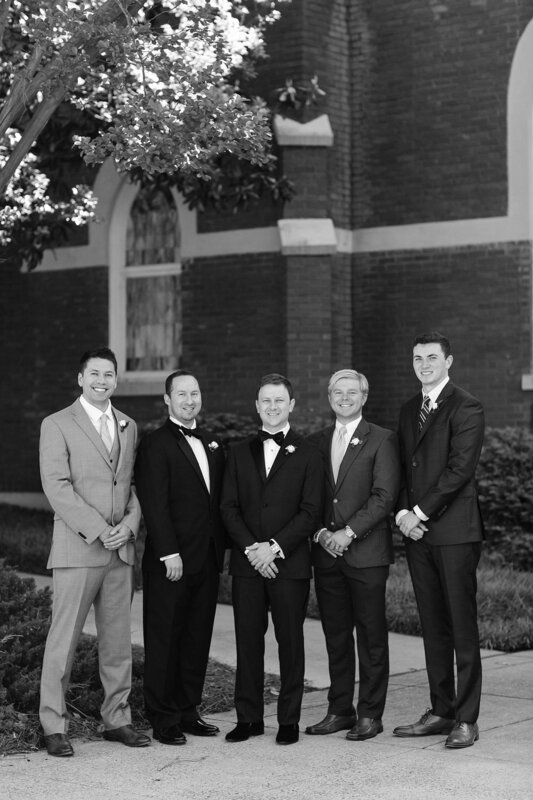 The groom turned to us after the ceremony with a big grin on his face and said “I told you, I’ve got some good juju!” Images by Mark Williams Studio. 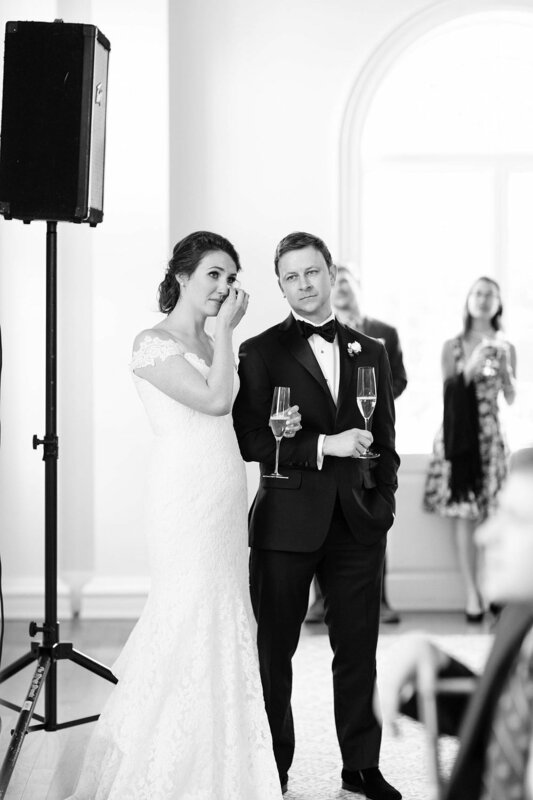 Our next wedding was for one of our own! 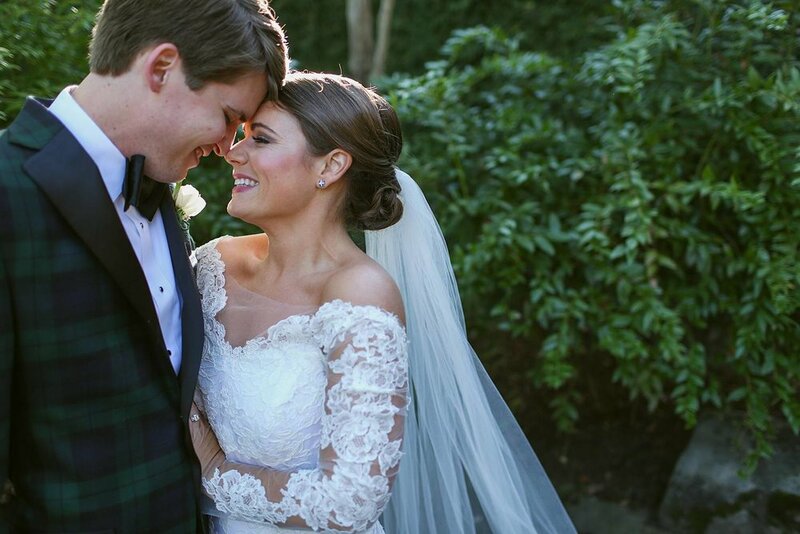 Taylor and Peyton got married at St. Augustine’s, followed by a reception held at the Augusta Country Club. 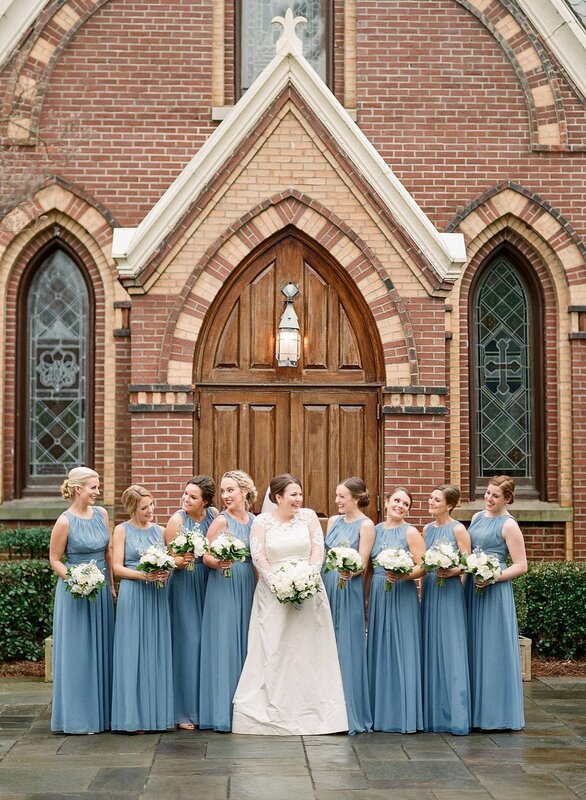 We loved Taylor’s love for french blue, so we incorporated it into much of the wedding design! The wedding took place a few days before the 4th of July, so we just had to have some star shaped sunglasses & American flags for guests while they danced the night away. A highlight was the vintage Land Cruiser that the bride and groom made their getaway in for sure! 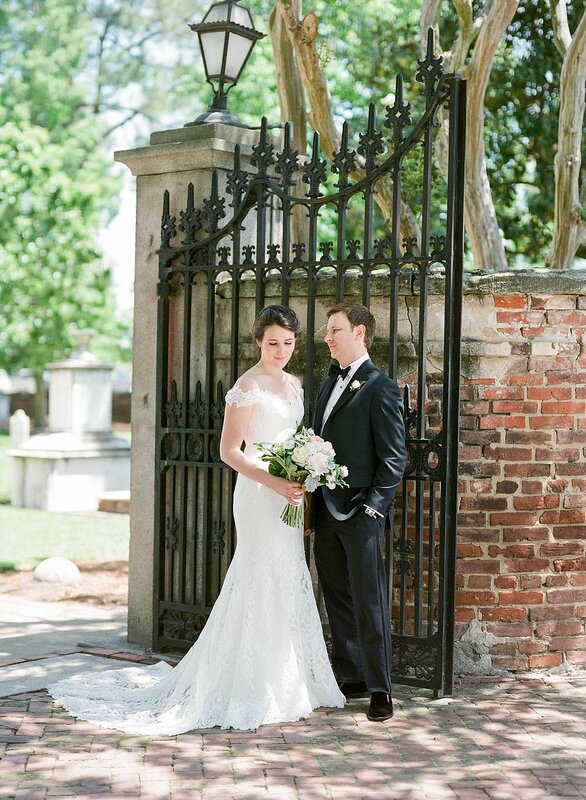 Images by Ashley Seawell Photography. 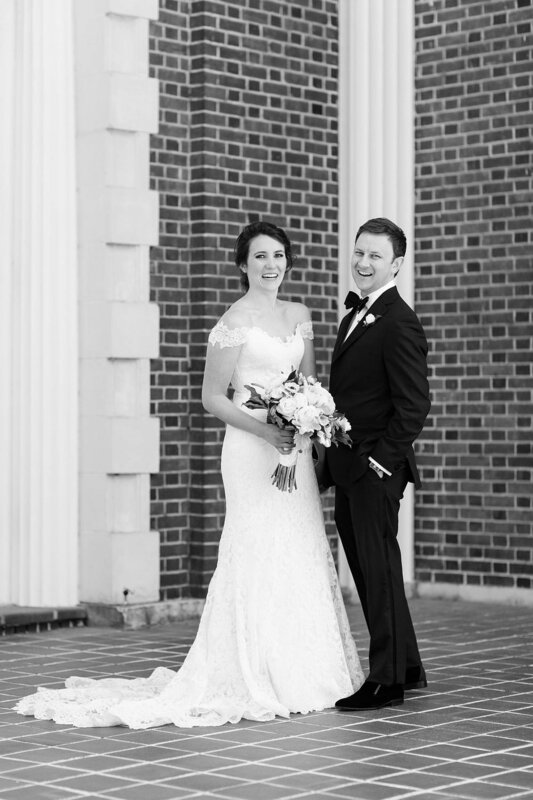 Our first fall wedding of the season took place at the Old Medical College for Elizabeth & Drew’s wedding. 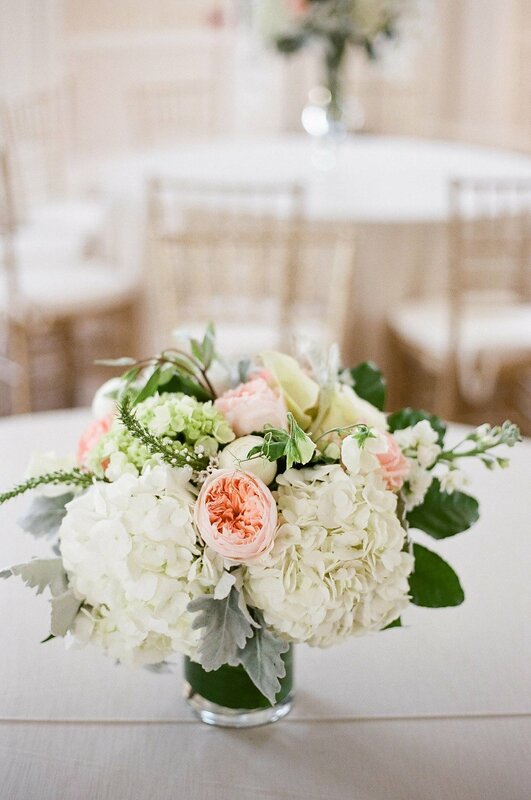 While we only supplied the florals, we thoroughly enjoyed working with Elizabeth on her vision of a gathered, wild, textural look. 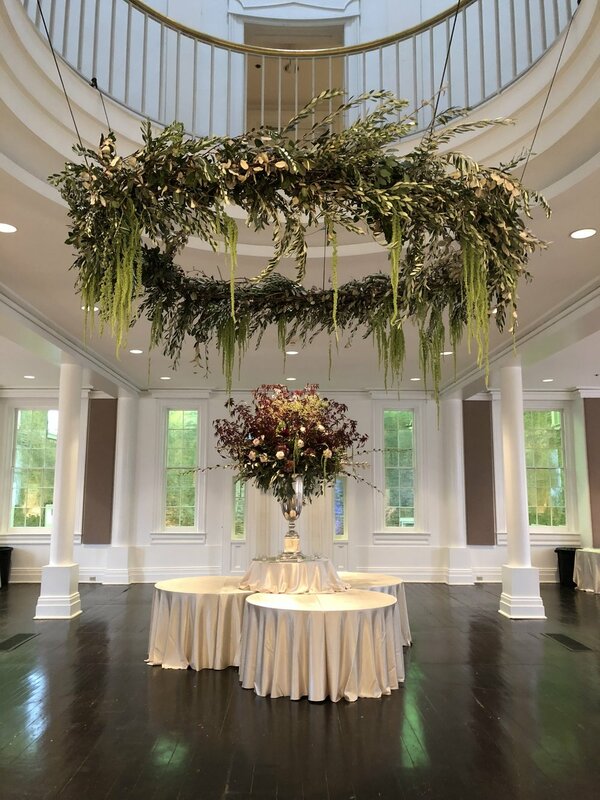 Our favorite element was the large hanging wreath we hung in the rotunda. 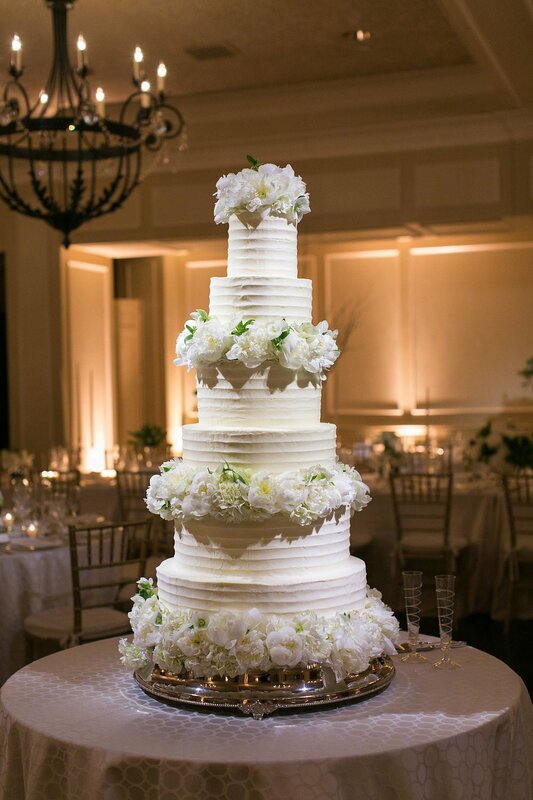 It was a showstopper, especially once the cake was placed beneath it. Images by Gately Williams. 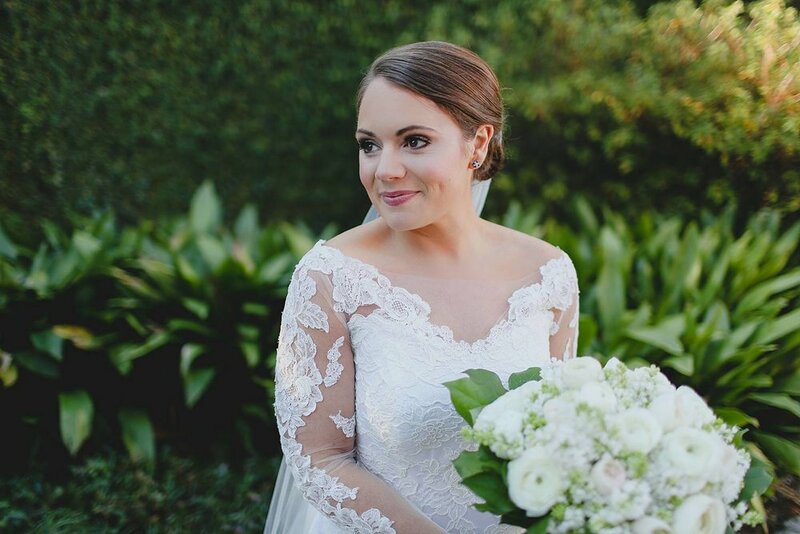 One of our favorite things about working in Augusta, GA are the number of garden weddings that our clients host at their homes. 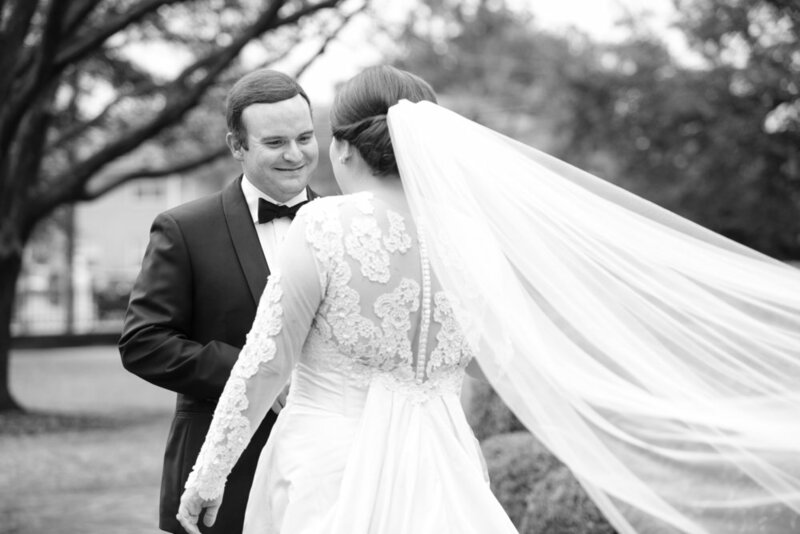 Jamie and Adam’s fall wedding took place at Jamie’s parents home and it was the perfect fall gathering. 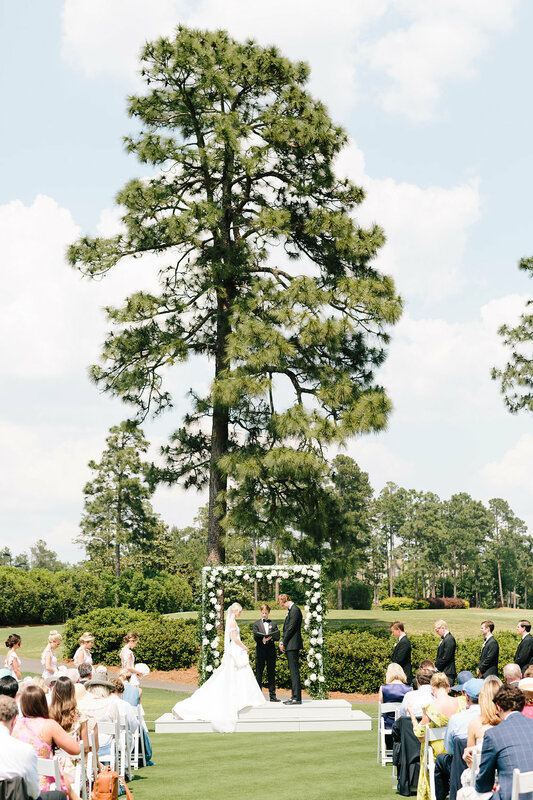 The gorgeous color palate and natural surroundings of the garden created such a magical backdrop to celebrate the couple. 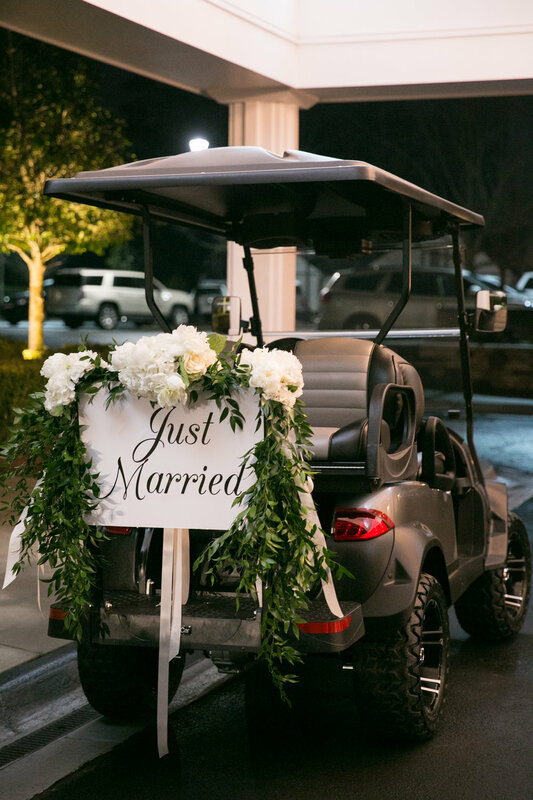 We loved the vintage car that the bride & groom took to get from their ceremony at Church of the Good Shepherd to the reception, it was so fun to see guests greeting them as they pulled up. 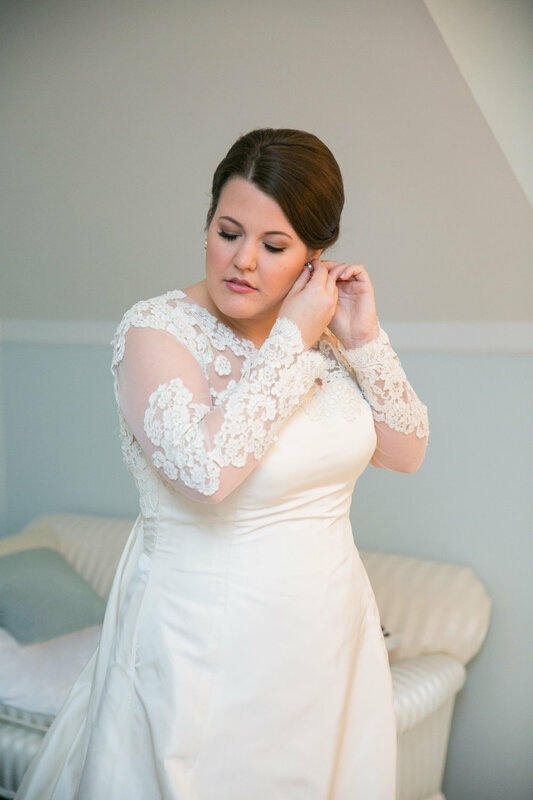 A full blog post featuring this wedding will come in the new year! 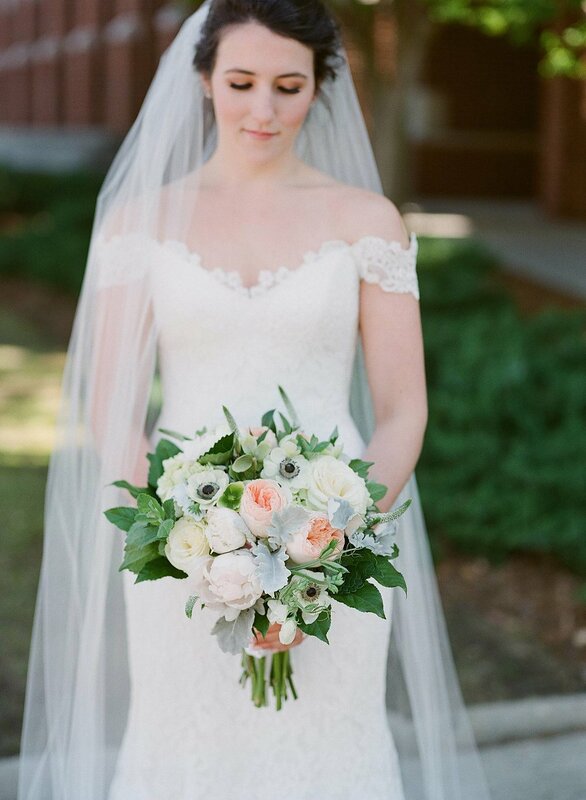 Images by Laura Fulmer. 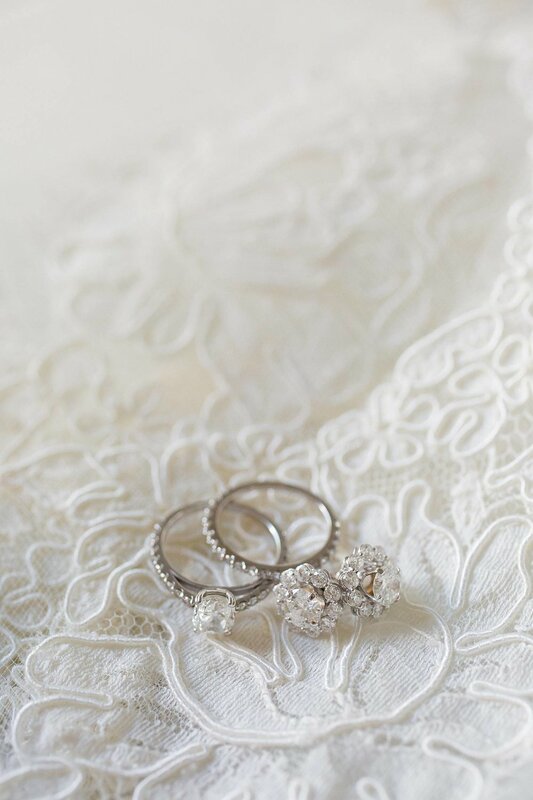 Detail Shots by Amy Owen. 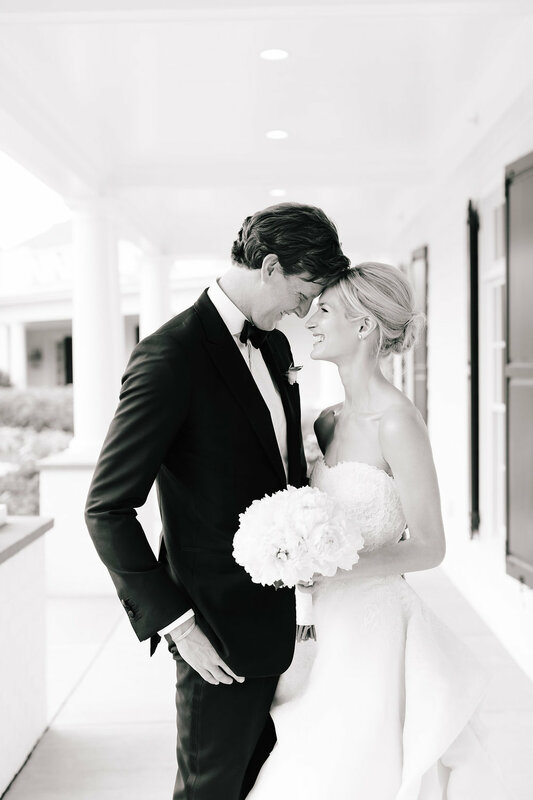 To all of our brides, grooms, and their families, thank you for entrusting us with your big day. It is such an honor getting to be a part of each of them. 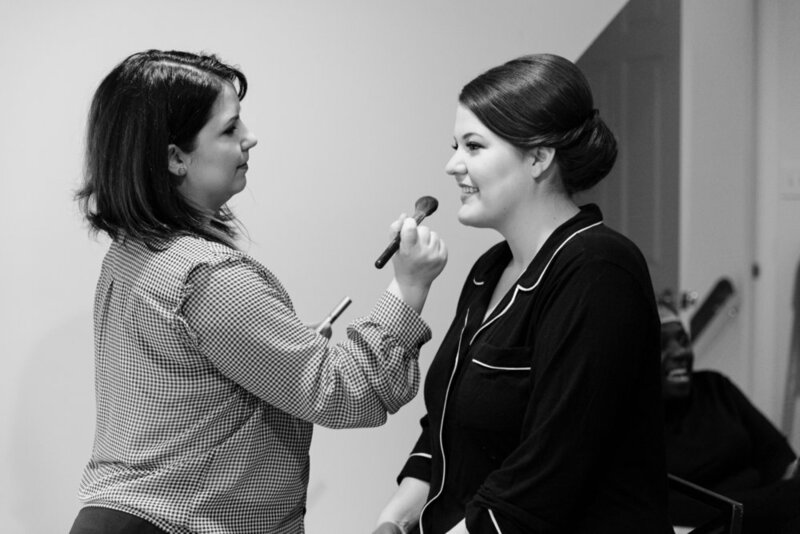 We truly love getting to know our clients and miss them when it’s all over! We wish you many, many of years of happiness and love! Have a wonderful 2019! 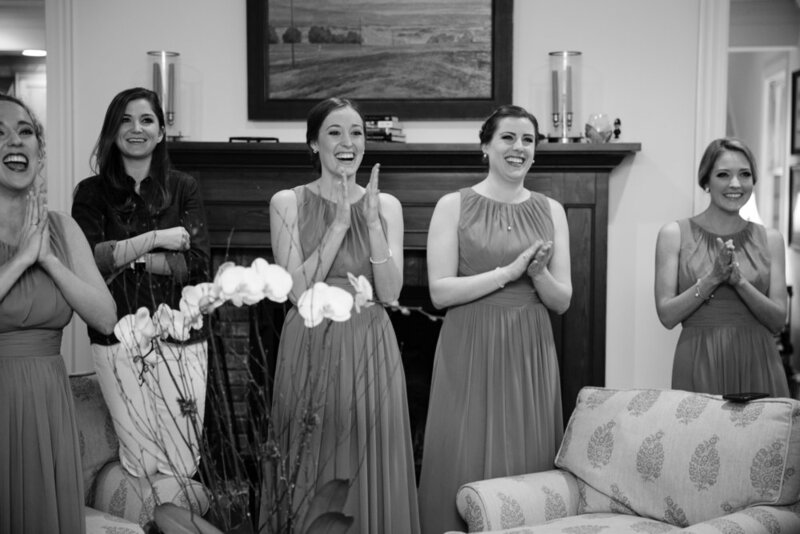 As wedding planners, it is always fun when we get to do something a little bit different from the norm. 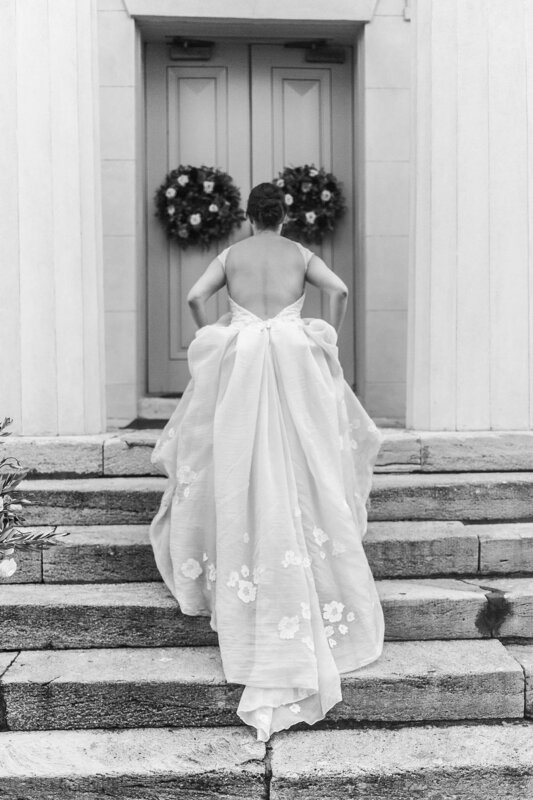 This wedding season has been filled with clients who are asking for something different, unique, and reflective of them as a couple. 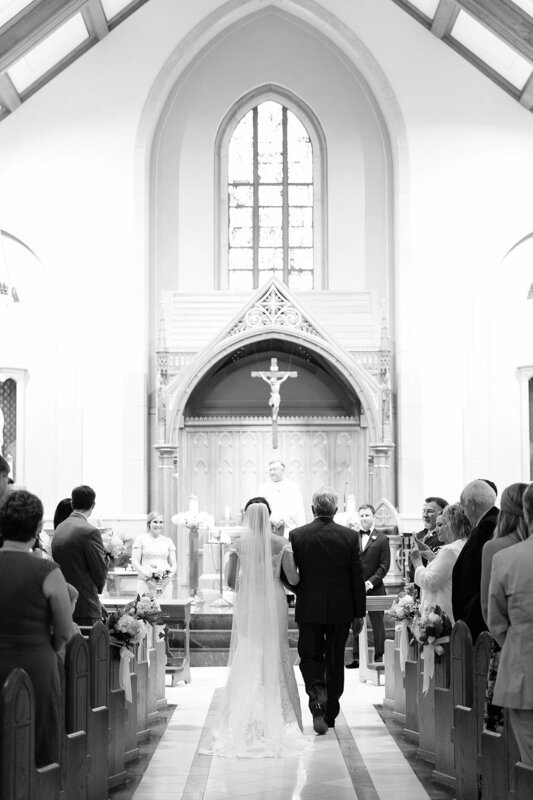 Jesslynn and Scott came to us knowing that they wanted to do a full Catholic mass ceremony at St. Mary's on the Hill, followed by a brunch reception somewhere light-filled and beautiful. 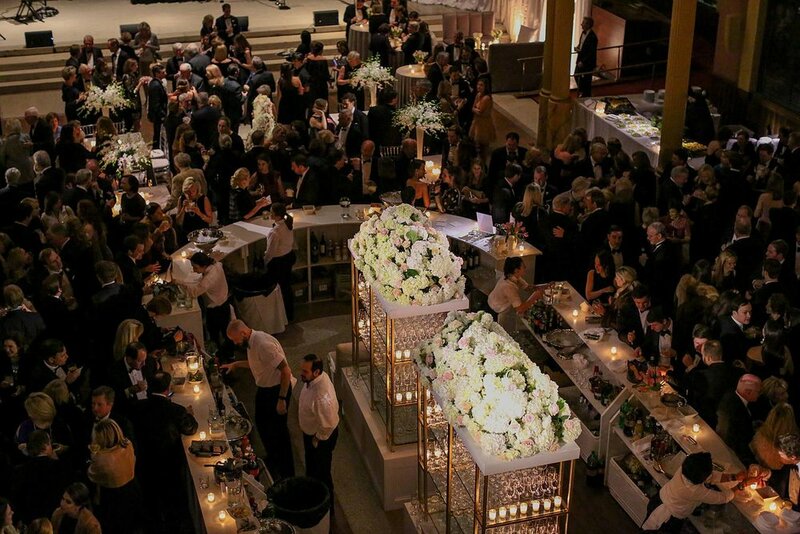 After considering a couple of options, we settled on The River Room at St. Paul's. 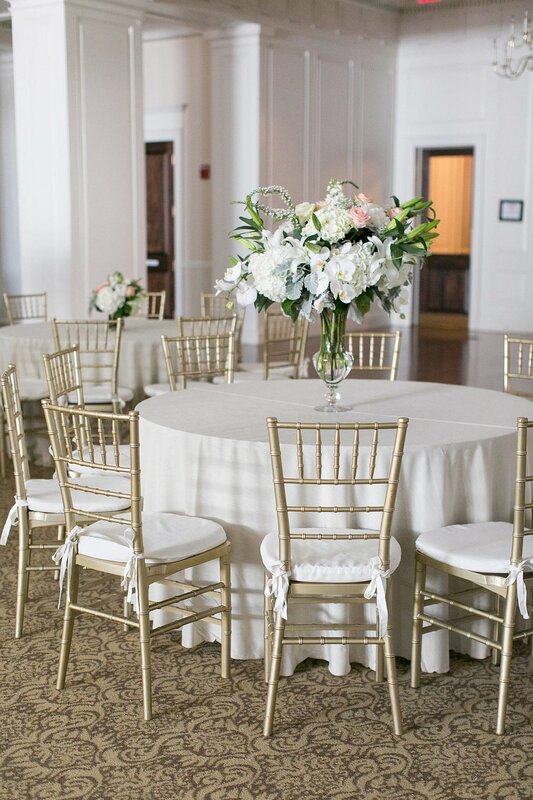 Hidden in plain site, the venue sits right on the Riverwalk in downtown Augusta and is filled with gorgeous, natural light. We tented the patio along the Riverwalk to add some shade for guests to enjoy the absolutely stunning weather that is April in Augusta, Georgia. It was there under the tent that we staged a DIY mimosa and Bloody Mary bar, because what is a brunch wedding without that? To accompany the tasty drinks, we brought in Jennifer Shuford of Tastefully Yours Catering, to provide the most delicious brunch menu. 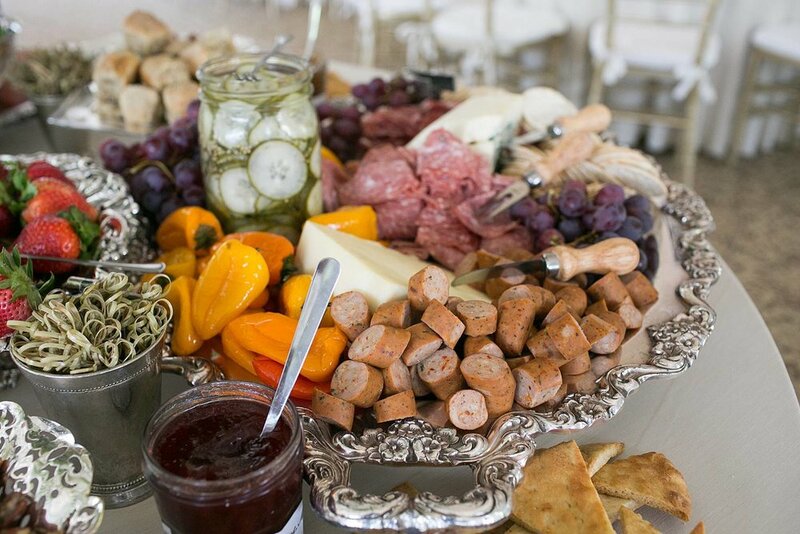 It included variations of Eggs Benedict, classically Southern shrimp n'grits, and of course her signature charcuterie display. 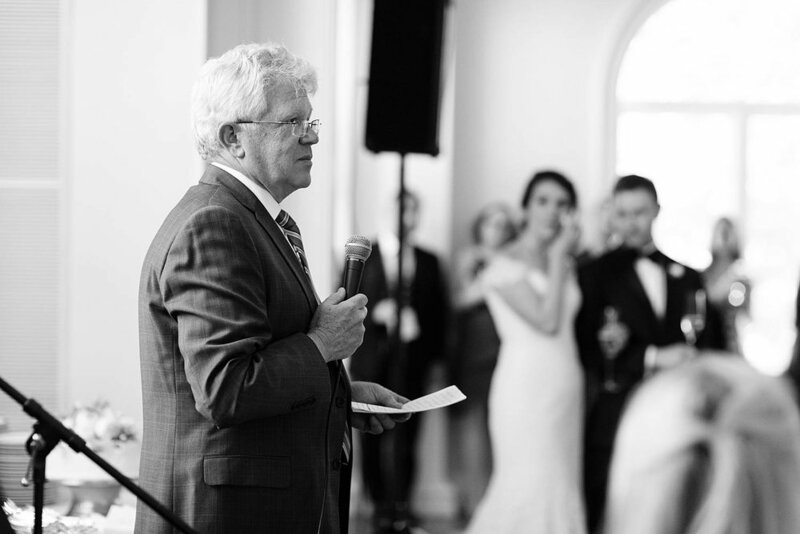 Scott knew one of his must-haves was some fun music, so we unlisted the help of Carl Purdy to put together a bluegrass ensemble that added the perfect background while guests mingled. 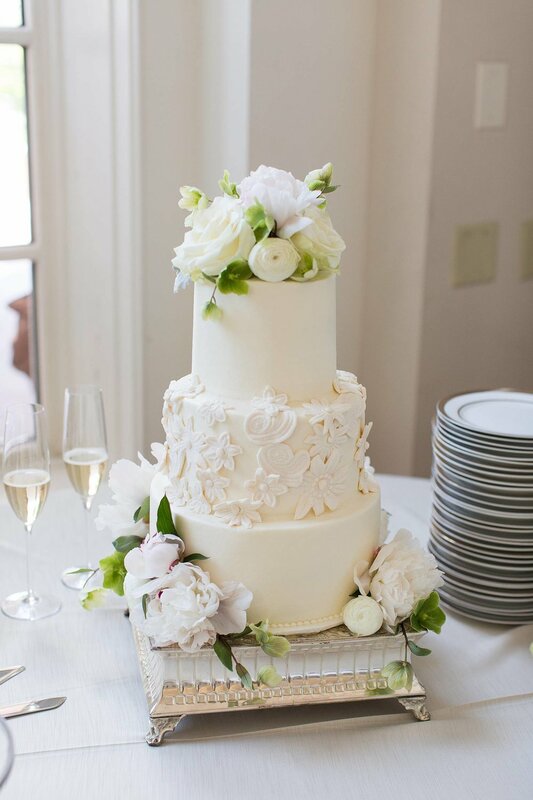 One of our favorite details were the sweet trio of cakes by our friend Lila Greene, as you can see below it was one of our groom's favorite details as well! 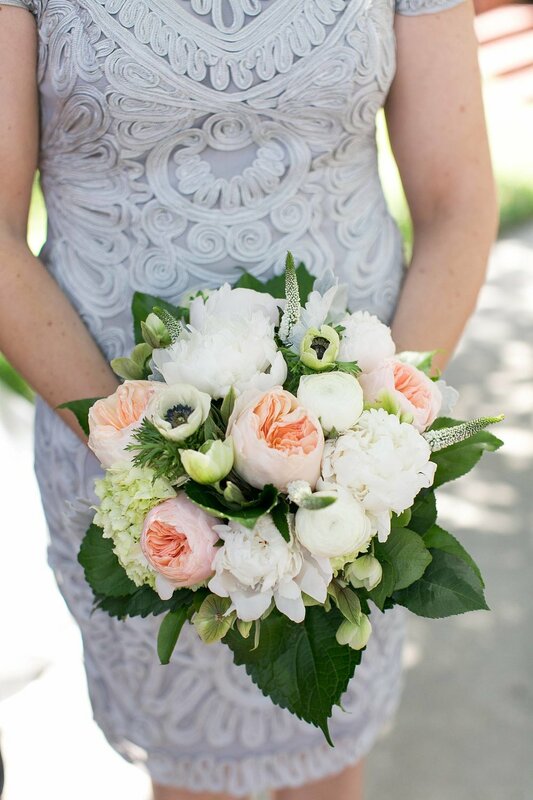 Scroll down to enjoy the gorgeous images captured by Ashley Seawell Photography. 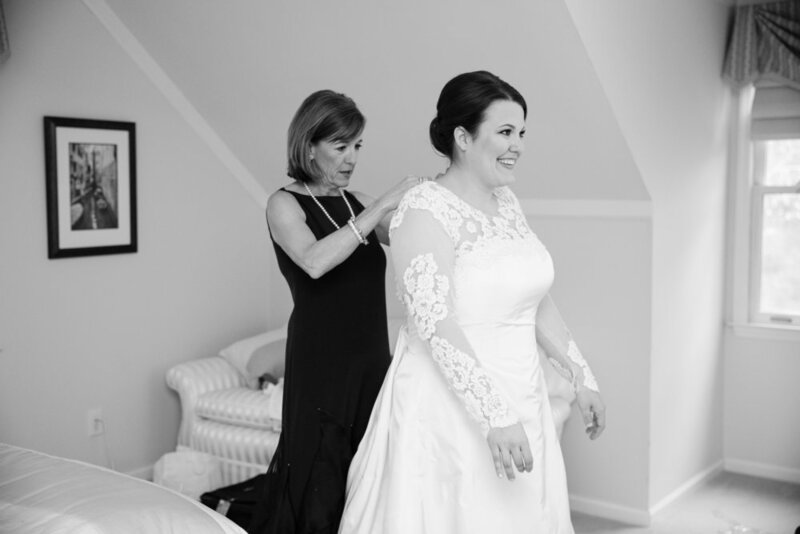 Thank you to Jesslynn, Scott, and both of their families for entrusting us with your big day, it was such a pleasure to be a part of! 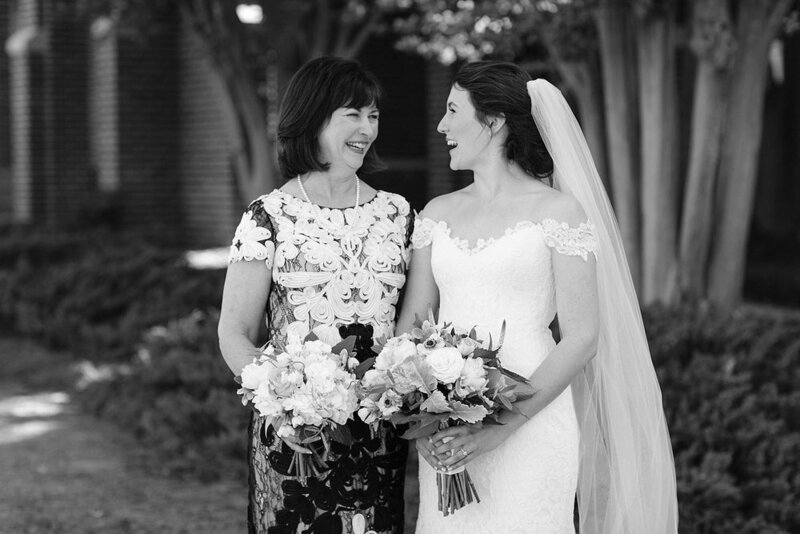 In the early spring of 2017 we sat down for our first meeting with Mary Hull & her mother, Carol, to start planning for Mary Hull & Patrick's February 2018 wedding day. 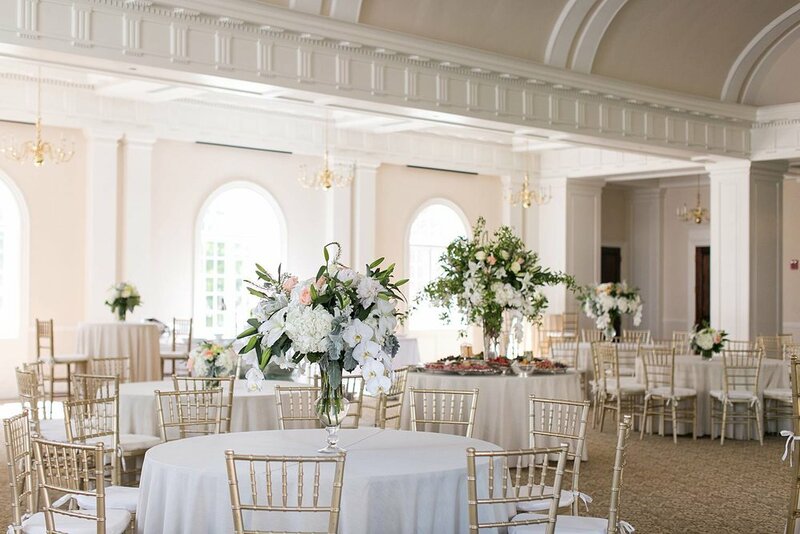 Over the next year, we worked with them on crafting a one-of-a-kind seated dinner reception held at the Augusta Country Club for their closest friends and family. Carol (with past experience as a planner herself!) & Mary Hull (an art dealer!) 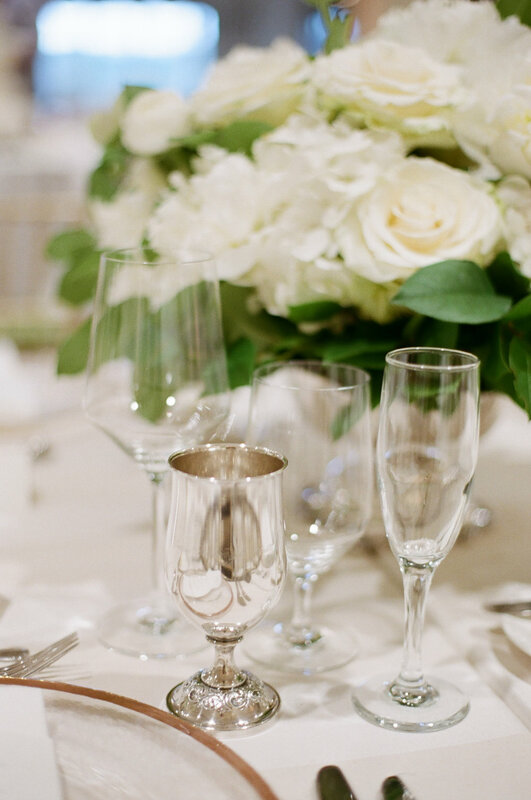 both have an eye for design, which makes our jobs as event designers so much more fun! 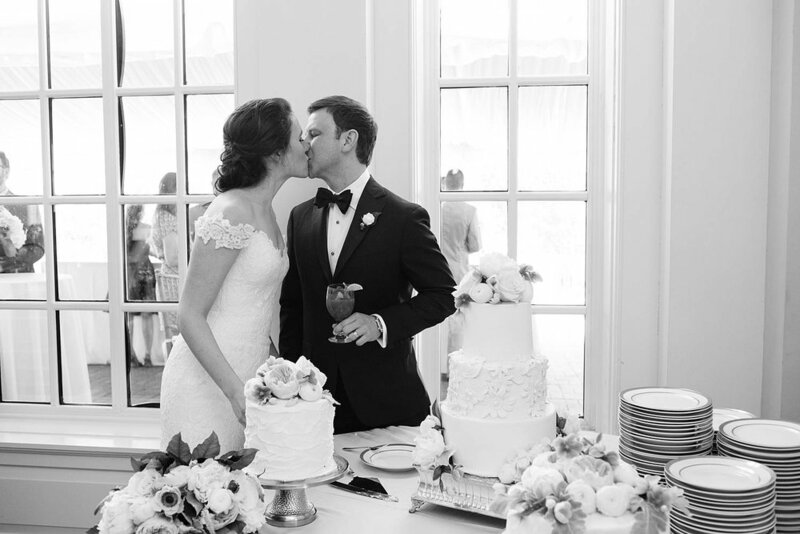 We knew that this wedding would be filled with thoughtful details starting from the ceremony held at Church of the Good Shepherd followed by cocktails, seated dinner, and dancing reception at the Club. 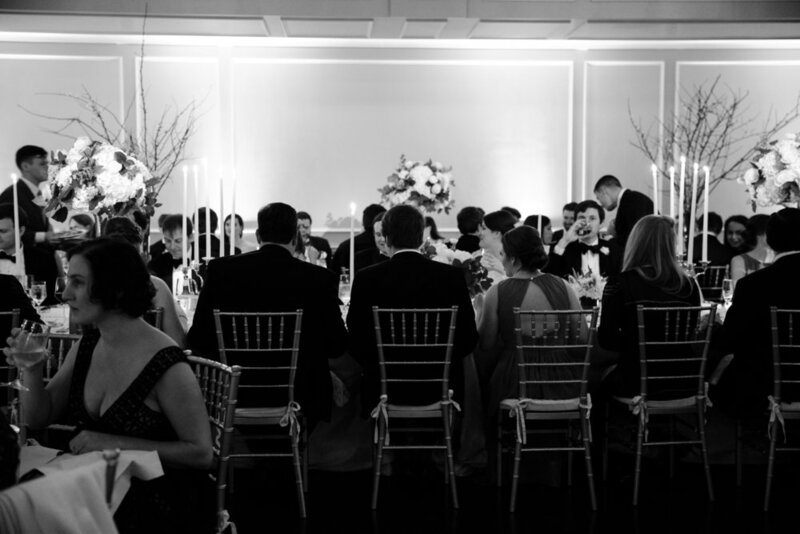 When it came time to create a floorplan for the seated dinner, we quickly decided that mixing round and estate tables was the surest way to create a different feeling in a venue that most of the guests in attendance had been to before. 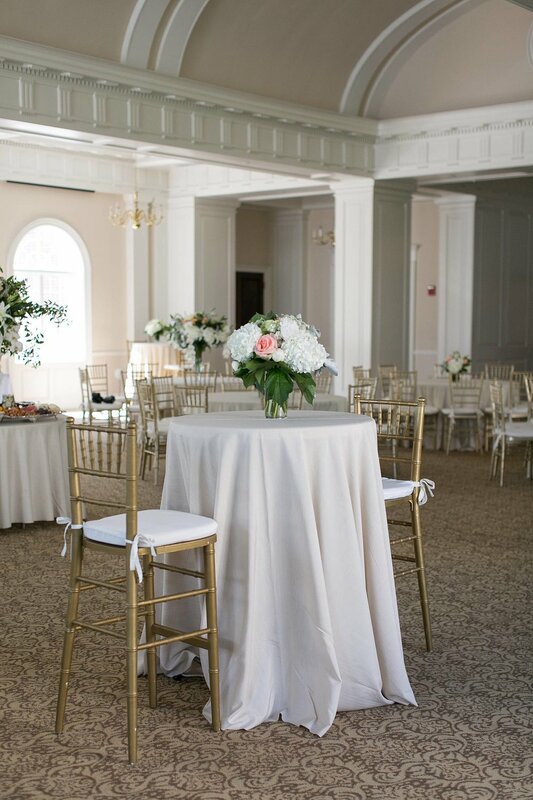 The vision included long tables covered in beautiful linens, topped with florals indicating the first signs of springs. 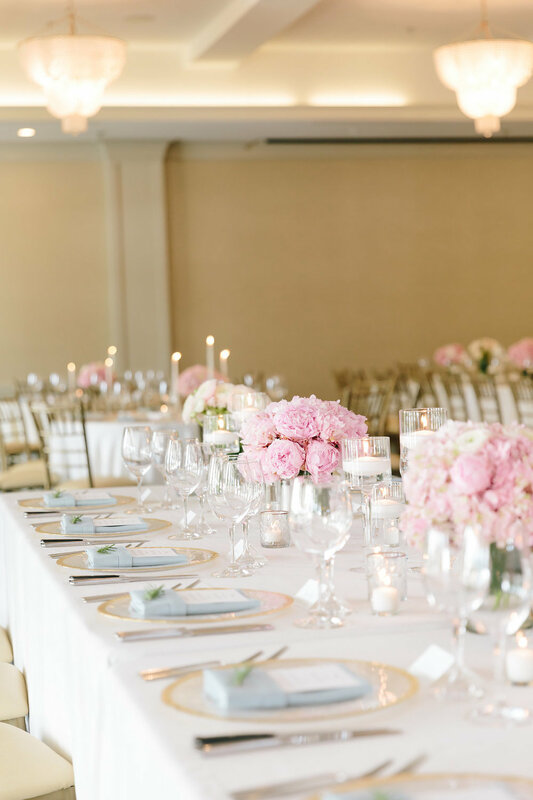 Blooming branches, lush arrangements of various heights, heirloom silver accents, and custom monogrammed menus wrapped around linen hemstitch napkins would set the mood as soon as guests sat down to their seats. 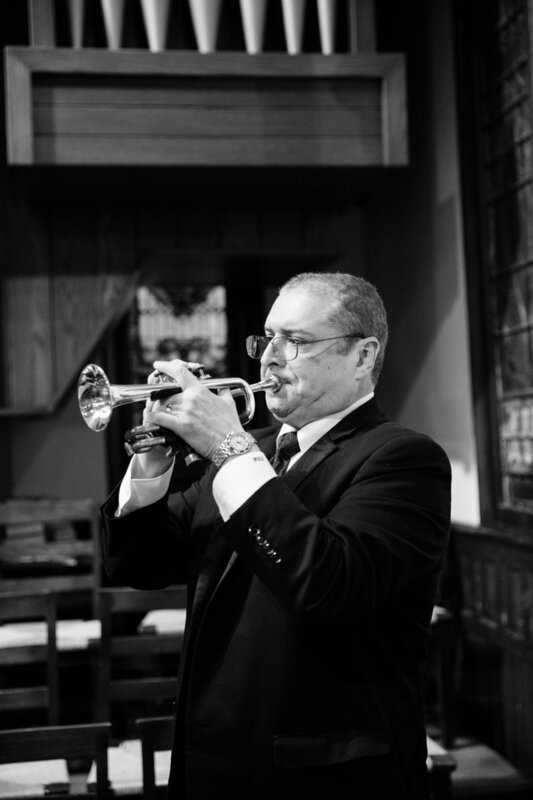 Once dinner concluded, guests were escorted by the horns of the Sol Fusion band outside to the entertainment tent for the first dance between the newly-married Mr. and Mrs. Crawford. 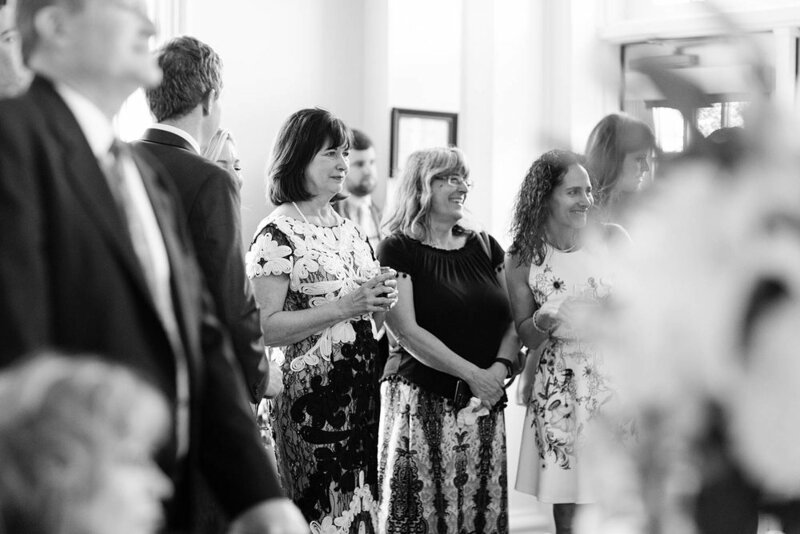 When guests were ready to take a reprieve from dancing they could mingle in the art lounge we created inside the Club, with art on loan from some of Mary Hull's very talented friends. 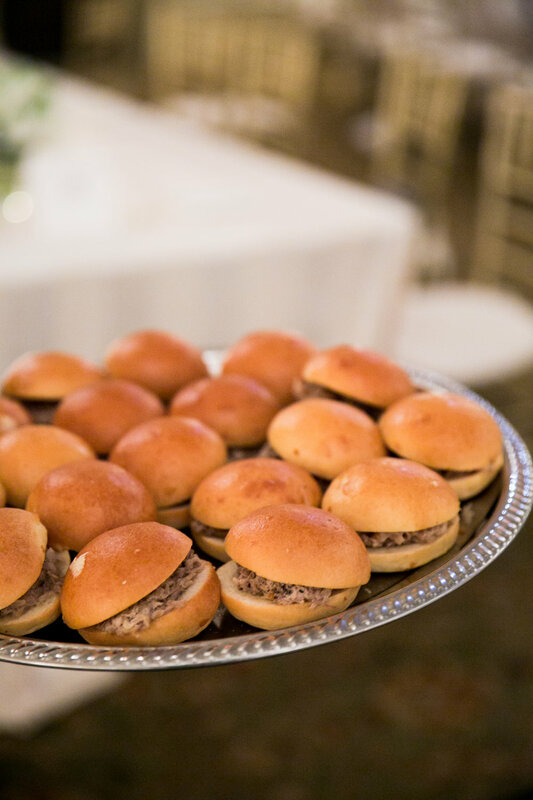 Late night snacks of South Carolina BBQ sliders & chips as well as the Club's signature night cap, the velvet hammer, were quickly enjoyed by guests both on and off the dance floor! 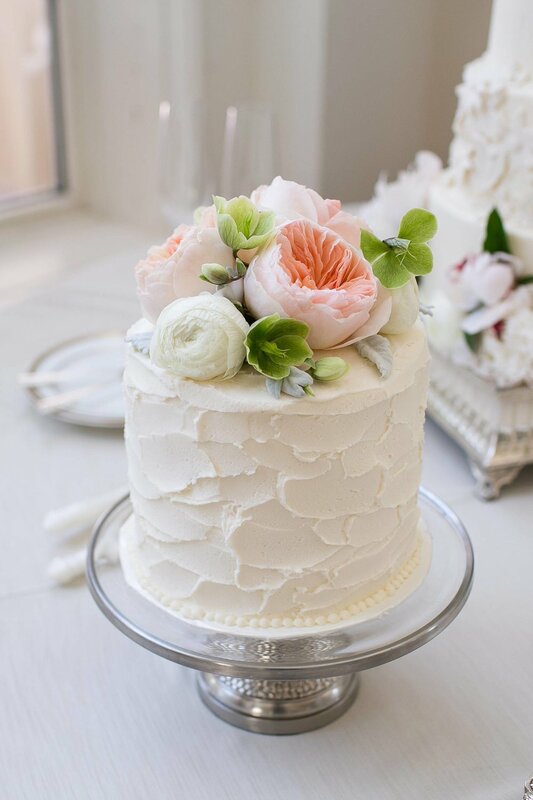 We had some of our favorite vendors on our team for this one, including our favorite Ashley Seawell Photography, the delicious 5-tiered wedding cake was by our friend Lila Greene, hair and make-up by our Surrey Center neighbors Cucumber & Mint, and Sol Fusion band kept guests out on the dance floor all night long. 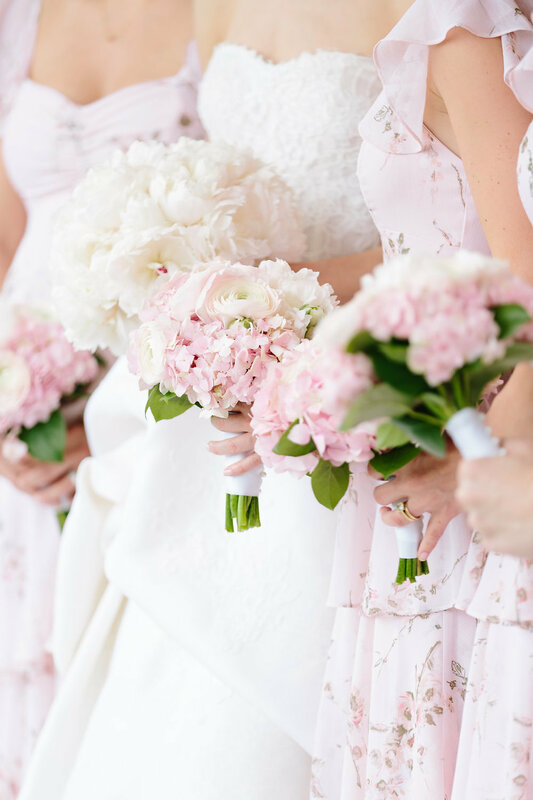 Scroll down to see the full list of vendors, and the beautiful images Ashley captured of this special day. We still feel so lucky to have been included in such a meaningful day for these two sweet families. Thank you to them for letting us be a part of it!